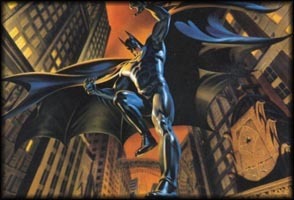 The Batman featuring a reboot DC Comics well known cap crusader. These figures are from the third season of the series where we introduce Batgirl and Batman new allies: Superman, Martian Manhunter, Green Lantern, and more. When Batman wits is not enough he turns into Extreme Power to capture Gotham worse villains.